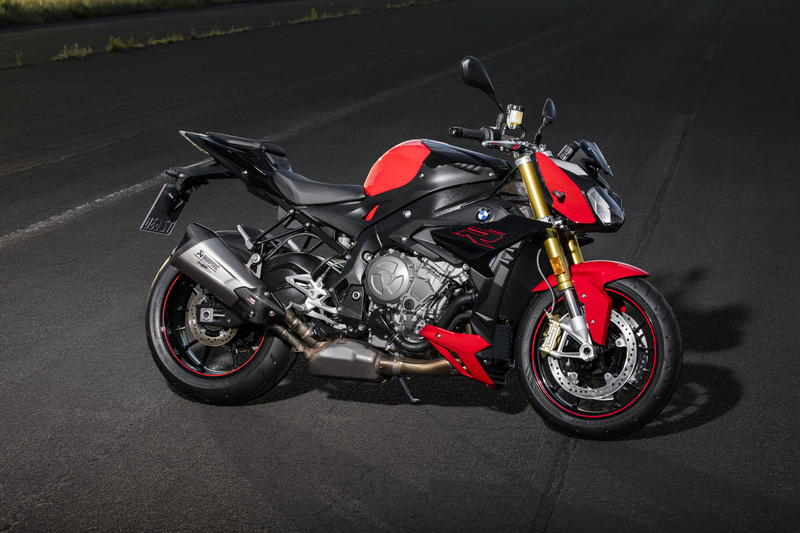 BMW HAS revealed this updated 2017 version of its S1000R, with extra power and lower-weight. 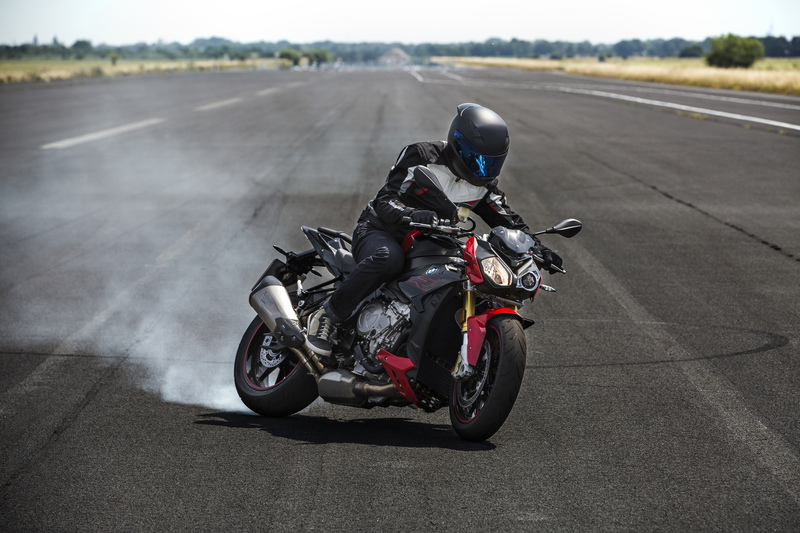 The super-naked’s 998cc inline-four now makes 165hp – up from 160hp – while weight has been reduced by 3kg to 205kg thanks to a lighter main frame. It’s got a new titanium rear silencer as standard and ‘vibration-free’ handlebars. It’s also had a technology upgrade, with cornering ABS – or ABS Pro as BMW calls it – and an up/down quick-shifter available as options. Other options include lighter forged wheels and a ‘design option’ of red rim tape. 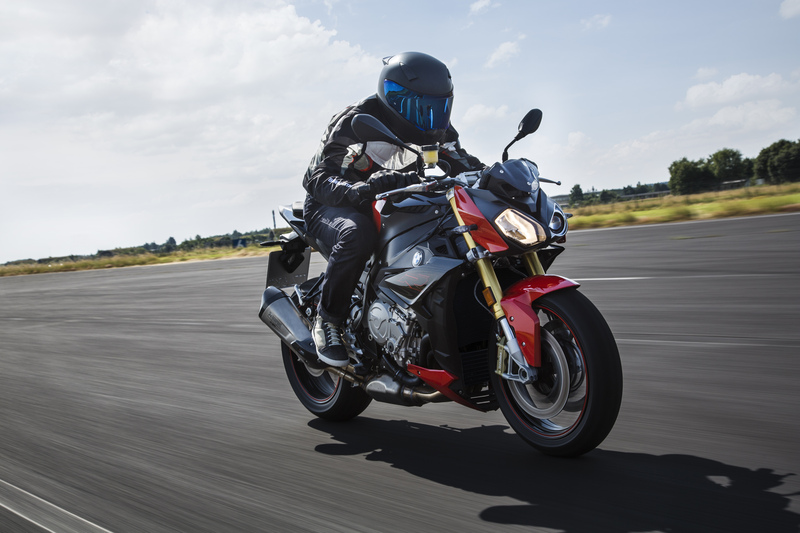 The dash has an ambient temperature gauge and offers ‘improved readability’ according to BMW, while the fairing either side of the radiator has been reduced in size, exposing a little more of the engine, which has also been made compliant with Euro4 emission limits. Colour options are red and black, grey or blue, white and red. The updated model was revealed today at the Intermot motorcycle show in Cologne, Germany, with price to be confirmed.